Getting a new lead is always exciting but all too often marketers can get a little overzealous and make some very basic email mistakes. New email leads require a nurturing process—a courtship if you will—to become purchasers and loyal brand advocates. 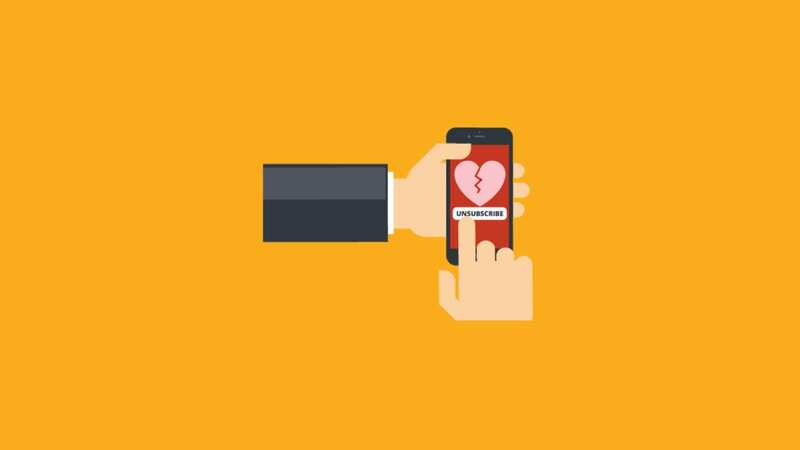 So, with homage to one of our favorite rom-coms, here are mistakes email marketers make when wooing a new email subscriber. Wrong. This may be the quickest way to end a relationship before it even starts. Growing your list organically via single or double opt-in forms are the foundation of a healthy email list AND relationship. If you cut corners and purchase a list or send to people who haven’t opted in, you’re spamming them, plain and simple. By purchasing a list, you run the risk of emailing a number of unqualified leads, or even worse… fake and malicious email addresses. When deciding how to organically build your list, marketers go back and forth between the single or double opt-in methods. Personally, we love our email subscribers and want to ensure they love us back. That’s why we practice the double opt-in method in our lead generation efforts. 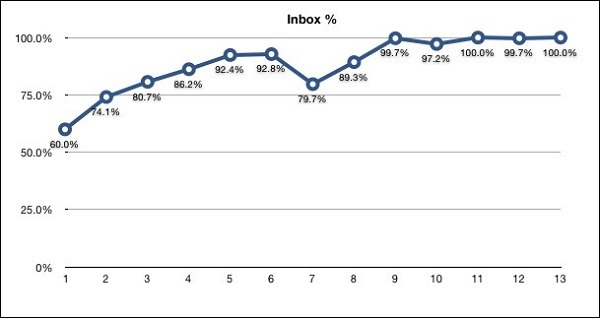 And, feelings aside, MailChimp tested this theory and found double opt-ins improved their email stats. To do this, MailChimp took a random sample of 30,000 users in their database who’d sent at least 10 campaigns to see if the double opt-in method improved their email marketing stats. Check out the results below. 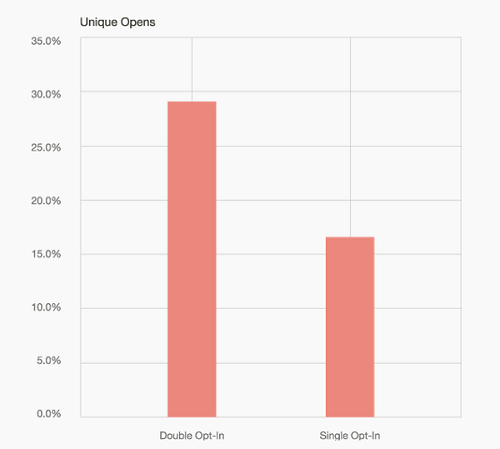 The double opt-in method produced a 72.2% increase in unique opens. Double opt-in lists also had a 114% increase in clicks compared to the click through rate of single opt-in lists. Once you grow your list organically, check out how you can maintain your list to ensure you aren’t still emailing people who just aren’t that into you anymore. When it comes to effective email marketing, an ESP must come in between you and your new subscriber if you ever want the relationship to grow. An ESP has employees dedicated to staying up to date on the latest CAN-SPAM laws, going toe-to-toe with ISPs and helping maintain your sender reputation and inbox placement. More than saving you a headache, ESPs help your bottom line across the board. MailChimp, a popular ESP we just mentioned, documented how one email sender, Photojojo, switched to MailChimp from their in-house solution and saw fantastic results. Check out the graph showing the increase in Photojojo’s inbox deliverability after the switch. Don’t think of an ESP as cramping your style, think of ‘em like the email guru you need so you can form a deep bond with your new lead. Sending an email that looks terrible on the mobile device or email client your new subscriber is using is the equivalent of showing up to a first date with ratted hair or wearing sweatpants. Whether it’s your first email to a new lead or an email you’re sending to your client of five years, sending a broken email can be devastating to your ROI. And don’t fool yourself into believing that popping off a quick test to your iPhone or Gmail inbox will do the job; it won’t. That’s because every email client’s rendering engine is NOT created equal. Almost every email client displays HTML differently because each client has its own unique way of interpreting your HTML. That is why your HTML code can get all messed up in some email clients like Outlook even though that very same code looks like pixel perfection in another inbox. 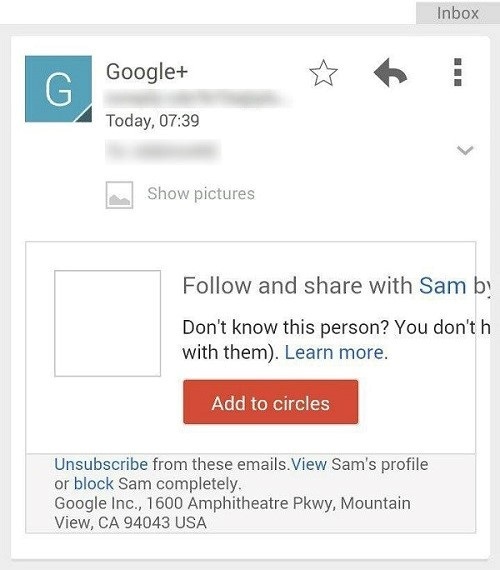 Below is proof that even bigwigs like Google sometimes fail to properly test their email, and the results can be ugly. Instead of manually testing your email in hundreds of clients and devices before each send, try the most cost-effective and quickest way to test your email. Get access to unlimited email, web page and spam testing so you can send with absolute confidence, free for 7 days. Just because someone gave you their email for a free download or signed up to get your newsletter does NOT mean you should respond immediately with a hard sale. You have to court your new leads and show them the value of your product before asking them to take out their checkbook! 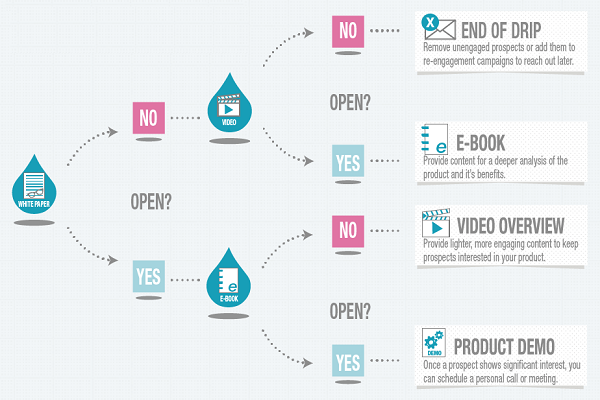 The most effective way to nurture new leads is through a drip campaign. Drip campaigns are automated emails, triggered by a certain action (i.e. downloaded guides or browsing actions), that are sent to the lead at the right moment to move them through the sales cycle. Automation, as seen in drip nurturing campaigns, is the best and easiest way to send timely, relevant emails to your subscribers. It’s also worth your while, as automated emails get 119% higher click rates than broadcast emails. In the end, you’re going to have to build the relationship by sending valuable content over a period of time before you can expect them to shell out any dollars. No one likes a stage five clinger. Once you capture a new email address, you’re bound to lose it if you start flooding the inbox. So how often should you email your list? There isn’t an easy answer to that question, but there are some rules to follow to ensure you aren’t an over- or underwhelming sender. First, take a hint from your peers. 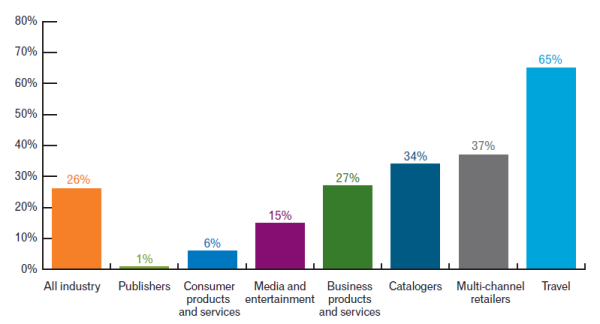 The DMA’s National Email Client Report 2015 found that over the past three years, companies were contacting individuals less. The research highlighted that 21% of companies send 4-5 emails a month to their contacts, so use that as a baseline for sending frequency. Another way to send just the right amount of email to your members is by letting them choose how often you email them via a preference center. 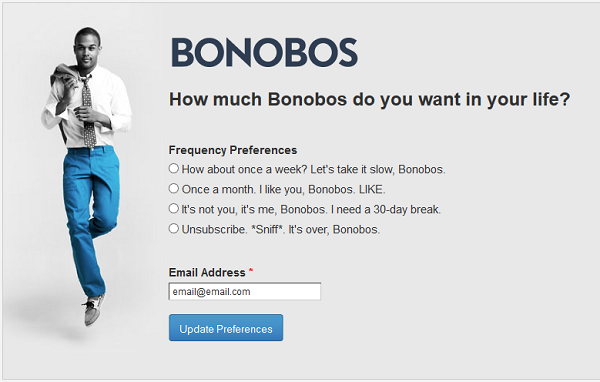 Bonobos did a fantastic job of letting their subscribers edit their preference center to ensure they are sending just the right amount of email. 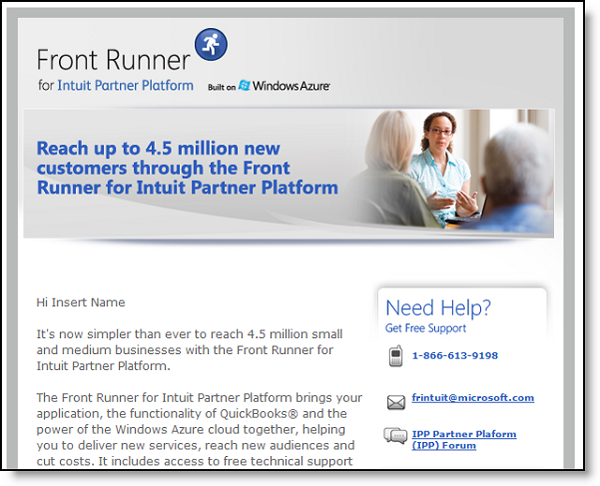 Let the subscriber take the lead when it comes to how much they want to hear from you. Even if it’s only once a month, don’t take it personally, at least they’re still *somewhat* into you. The lesson here is if you’re going to use merge tags to personalize your messaging (which we highly recommend you do), make sure your merge tags are pulling the correct data. Moral of the story, be sure to test your personalization tactics to put your best foot forward in order to get to that next level in the relationship. Anything to get their attention, right? How about we dial it back a notch. Overhyping or misrepresenting what’s inside your email in the subject line is what we call clickbait. 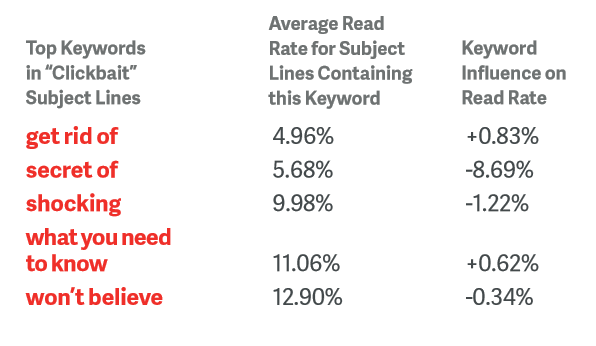 A Return Path study of more than 9 million emails found that emails with clickbait-like words in the subject line had lower read rates compared to emails with similar content that avoided clickbait words. Besides underperforming, clickbait subject lines also destroy the trust between you and your new lead. Even if this tactic feels like an easy way to get an open, remember that it may just as easily result in an unsubscribe. If someone wants to end the relationship; let them. It’s better for both of you in the long run. If you make a teeny, tiny unsubscribe button that’s hard for your reader to find, they’re more likely to mark you as spam rather than take the time to locate the link. Remember that you don’t want someone on your list that doesn’t want to hear from you. The more engaged subscribers you have on your list (read: people that ACTUALLY are interested in your service), the better engagement, opens and click through rates you will have! What email marketing horror stories have you witnessed? Whether you made an embarrassing mistake with a new client or lead, or simply saw an email atrocity in your own inbox, let us know in the comments section below! The worst one I saw was when they sent out a marketing email without making the mail list private. Every single complaint back to them about it included everyone else on their mail list copied in. 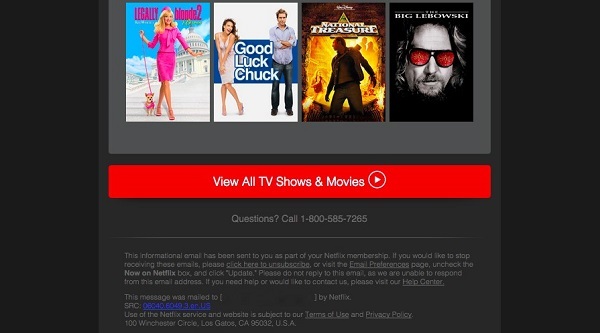 It kicked off a flood of unsubscribes and threats of legal action over privacy breaches. From what I saw they never “handled” the situation either I never saw an email from the company saying sorry for the situation the only response I saw was advise saying you can’t unsubscribe by simply responding via email instead had to log into their site to select some button within your profile. So stupid! As you can imagine this kicked off another round of angry responses with everyone copied in again. Very poor damage control.